This symposium has been closed. 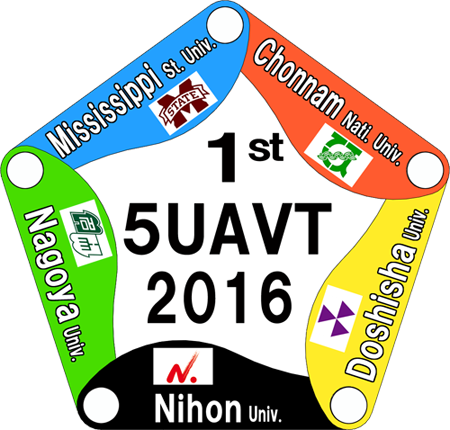 The 2nd symposium will be held on September 6-7 2017 at the Mississippi State University in USA. In recent years, industry, government and academia cooperation have been promoted, for the innovation of research and development and the creation of new businesses. Such cooperation in the automotive field is no exception. Because cars are made combining a wide range of advanced technology, it’s necessary to develop the automotive engineering technology in coordination with industry, government and academia. In addition, it’s also important to strengthen the cooperation between universities that are actively implementing the automotive related research. For this reason, we are bringing together the five domestic and foreign universities with centers for automotive research to hold the “International Symposium on Advanced Vehicle Technology” as the first step to help foster future collaboration. This symposium will provide us an opportunity to strengthen the cooperation between five universities and exchange between the researchers of various fields related to the vehicles beyond national borders. We also would like to encourage young researchers to get involved with our activity and contribute their future success in the world. We are delighted and excited to host the first symposium. We are looking forward to many people taking this opportunity to attend. Photographs of the symposium are here. Registration is free. Please download the registration form from here. Then send it to the following address by October 21 2016. Please download the symposium leaflet from here . The communication party will take place on the second floor at 17:30. We would like to encourage all of you to come and join us. The communication party fee is 3000 JPY. Please let us know by registration form whether or not you will be able to attend the party. Please pay the communication party fee at the reception on the day of the symposium. If you have any question, please do not hesitate to contact us. We are pleased to be adding more information on the website, so please check back regularly for the latest information. 1. 10 minutes walk from Keisei-Okubo station (Keisei Line) to Nihon Univ. *Turn the station exit to the right, walk the Okubo shopping street. 2. 15 minutes by bus from Tsudanuma station (JR Line) to Nihon Univ. *Buses have been operating frequently. *Please take the rapid train or the local train. 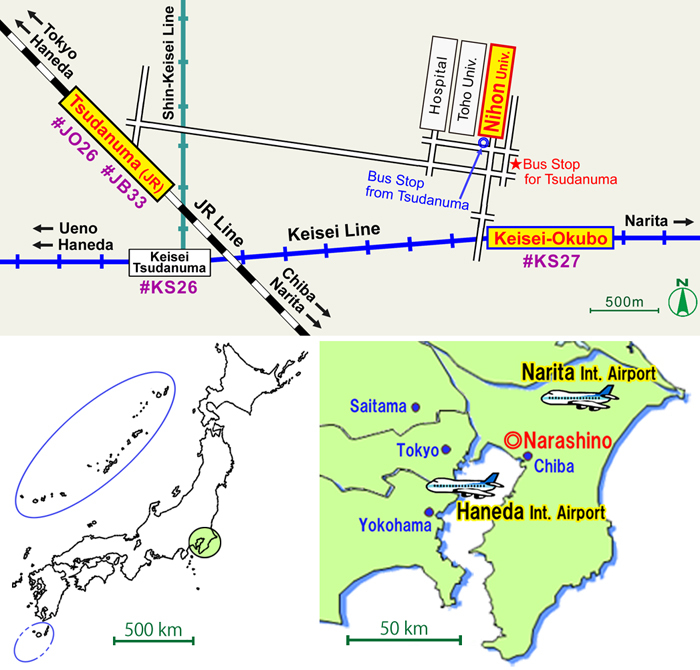 *The express train does not stop to the Keisei-Okubo station.